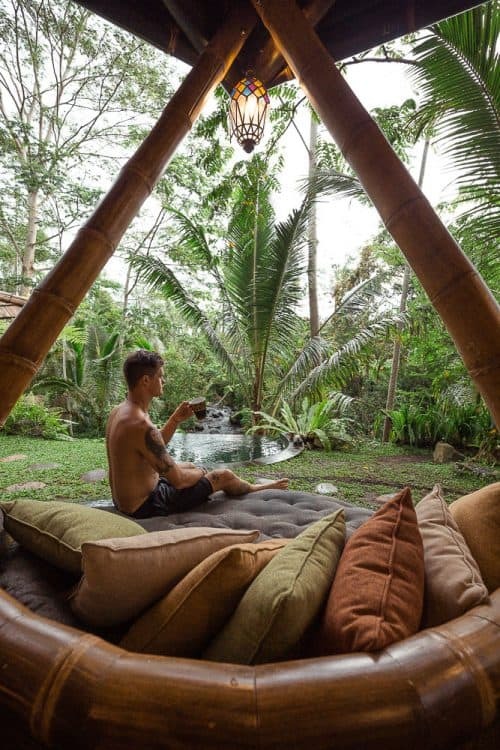 The Hideout Beehive Bali is quickly becoming one of the most popular locations and accommodations on the island of Bali in Indonesia. 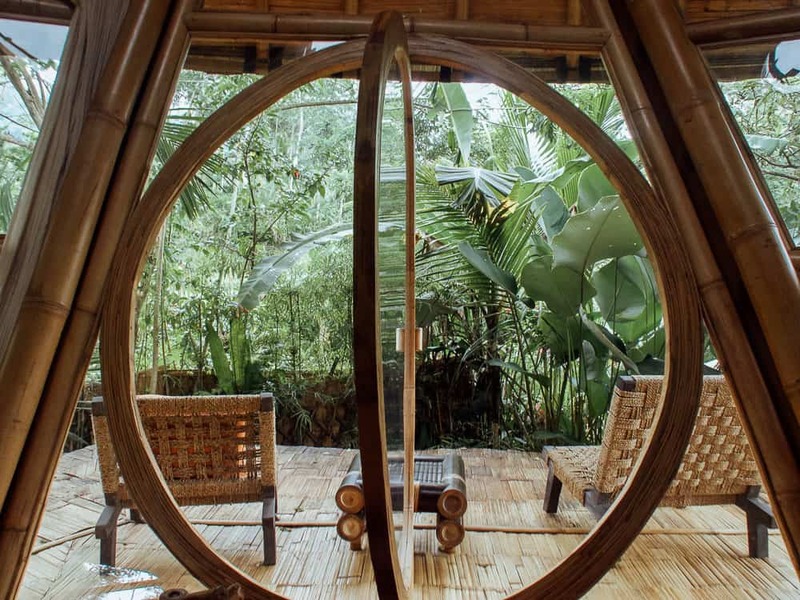 The hideout beehive is a bamboo home that is nestled deep in the jungle beneath the canopies of a luscious rainforest and surrounded by a fresh water running stream. 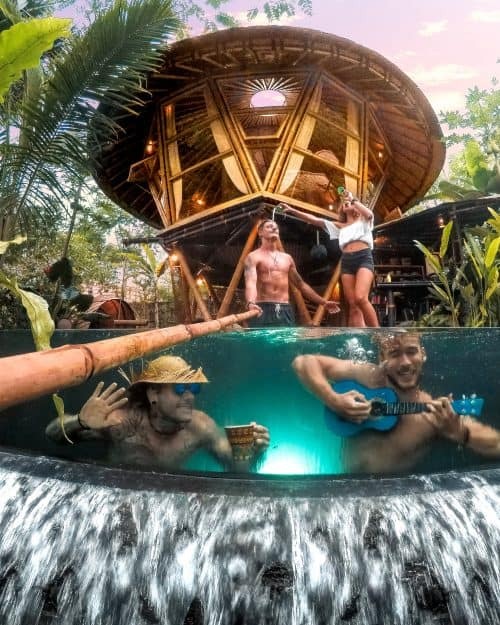 Booking a couple of nights stay in this uniquely designed, bamboo beehive villa is definitely something to add to your Bali Bucket List. The Hideout Beehive Bali is located in the Eastern region of Bali. From the main city of Denpasar it is approximately a 2-hour drive and from Ubud, it is approximately 1.5 hours drive. 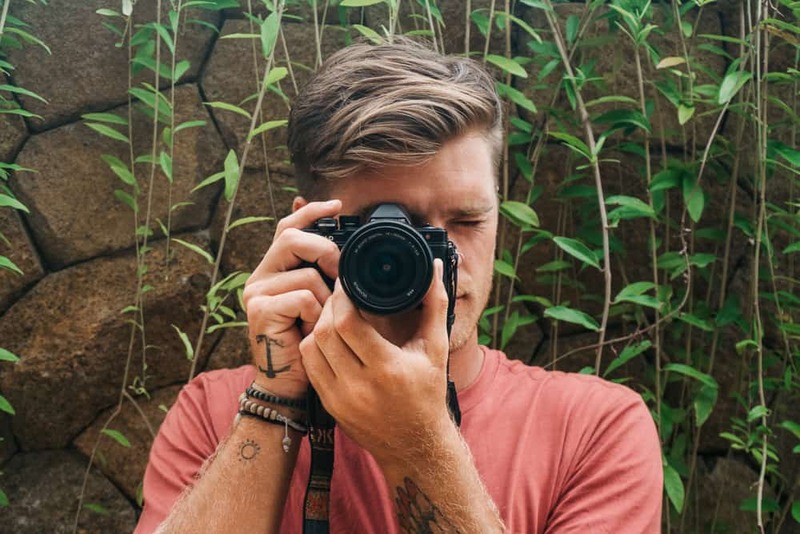 The road that leads the way out to Hideout Bali will take you through lively local villages and vast fields of rice terraces in the mountains. There is a small sign on the road that reads “HIDEOUT” and you will see a small car park out the front of the property. You will most likely be greeted by the resident dog Tracey in the car park upon arrival and she will lead you down the path towards the bamboo villas. There is no reception so just follow the signs to the villa in which you have booked. Don’t worry if you can’t communicate with Tracey the dog properly as you will eventually come across one of the staff members that will be waiting to assist you with your check-in. 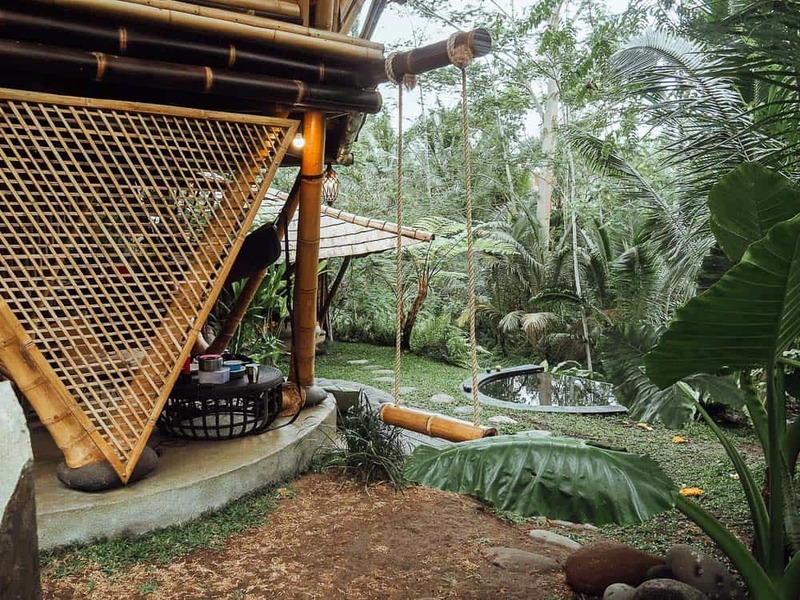 The Hideout Bali currently has a total of 3 bamboo jungle homes that can be rented out via Airbnb. You can click HERE to book in advance. 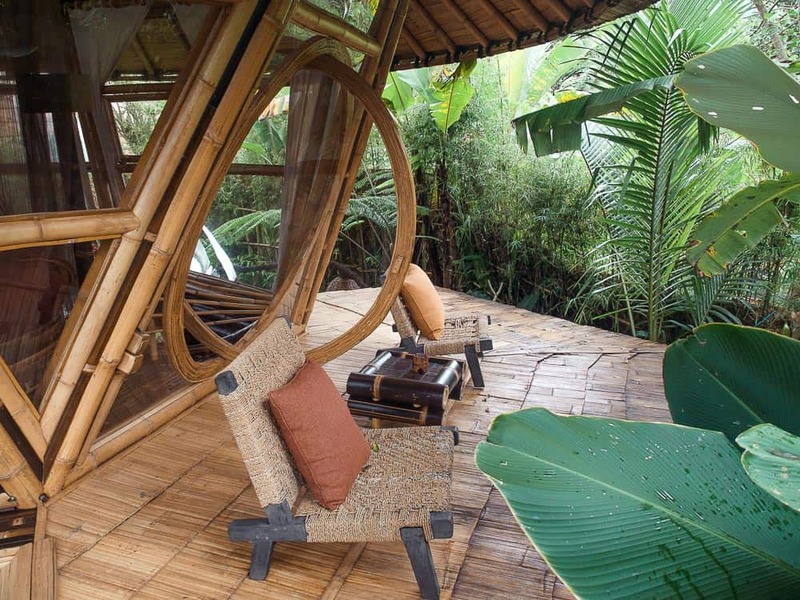 The Hideout Beehive is a double story home with a guesthouse, both of which are uniquely constructed out of bamboo and other natural resources from the land. 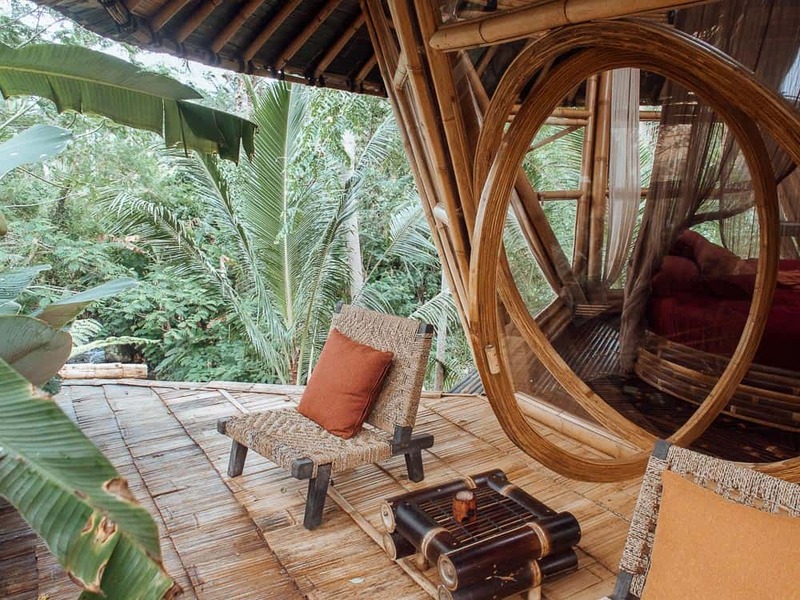 The Hideout Beehive Bali can sleep up to 6 people. Downstairs in the Hideout Beehive consists of an outdoor jungle bathroom with hot water, a large living area with coffee table and chairs, a fully equipped kitchen including a fridge, gas stove, kettle, toaster, purified water dispenser, cooking utensils and cutlery, an outdoor lounge on the wooden deck, a bamboo seated rope swing and an infinity pool that overlooks the freshwater stream. Upstairs consists of a rounded oversize bed complete with pillows, blankets and mosquito net, an electric keyboard, a sunroof on top of the beehive and an outdoor bamboo balcony that can be accessed through the rounded glass hobbit door. The Hideout Beehive Bali has a small bamboo guesthouse located in the garden next to the pool. This room features a large double bed with mosquito net, large draping curtains right the way around, a coffee table with chairs and a hammock. 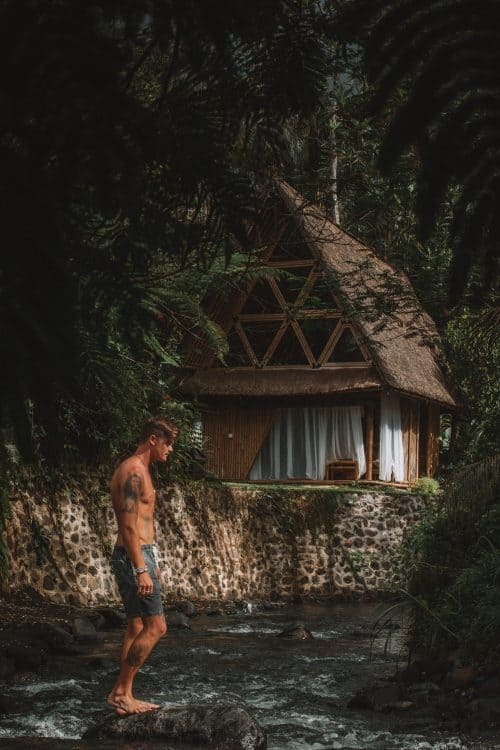 The guesthouse is the best spot to zen out while listening to the intense tranquil sounds of the jungle that surrounds Hideout Beehive Bali. The breakfast that is included is half a dozen raw eggs that can be cooked to your own liking on the gas stove, a loaf of bread to make toast with jam, a fruit platter and tea or coffee. You can also order food off the menu by using the mobile phone included with the villa to call the resident chef, Wayan. You will have to order your meals 2 hours in advance. The meals are local Indonesian cuisine and are really cheap at around $5 per dish. Once you have comfortably checked in you can start to enjoy the many features that the Hideout Beehive has to offer. My personal favourite is the infinity pool that has a transparent glass front that overlooks the jungle and a freshwater stream. Relive your childhood days by having a go on the seated bamboo rope swing that is attached to the side of the Beehive. Play with the resident dogs Tracey and … They are so adorable and full of energy and will likely want to play with you all day long. Tracey loves a good snuggle on the outdoor lounge and will even want to sleep with you during the night in the upstairs bedroom. 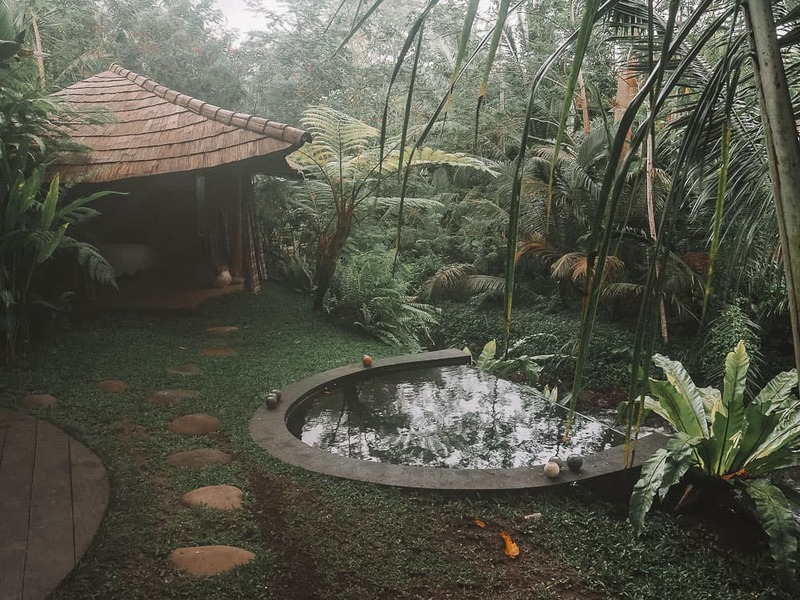 Take the stepping stones down to the running stream and explore the nearby rainforest and even catch a glimpse of the neighbouring bamboo home which is the Hideout Villa. There is a Bluetooth speaker located in the kitchen that you can connect your iPod to and get some tunes playing to set the mood. The Hideout Beehive Bali is simply the most relaxing and tranquil accommodation I have ever stayed in. You can find a number of waterfalls to explore in the area, see my complete Bali Waterfalls Guide. 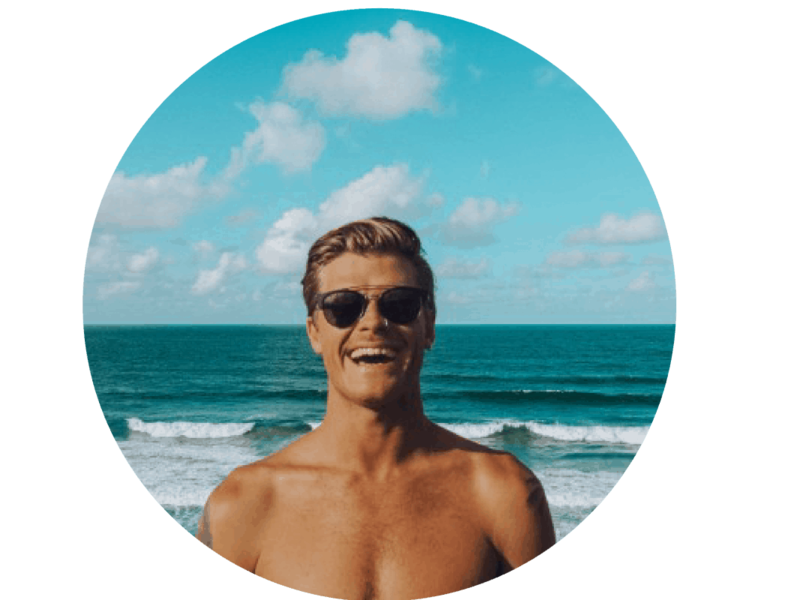 I hope you enjoyed reading this article and I know for sure you will love the Hideout Beehive Bali as much as I did! What a refreshing holiday in the place that surrounded by beach. You should try lombok!